Something based on an Irish recipe for St Patrick’s Day. 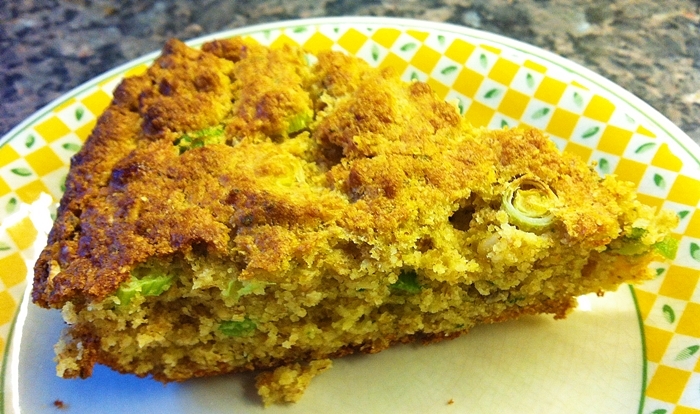 This is adapted from a recipe by Elizabeth David in English Bread And Yeast Cookery. This amount makes one small loaf (enough for 4 people). 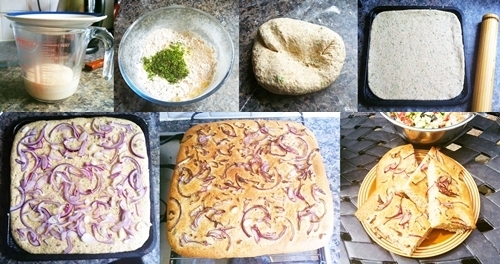 It is an easy way of producing homemade bread in a short time. Soda bread is leavened chemically – a much quicker alternative to yeast leavening, using the reaction of soda (an alkali) and yogurt and lemon juice (acid). It is essential to keep these two ingredients apart until you are ready to bake the bread. Heat the oven to 230C (Gas Mark 8). You will also need a floured baking tray and large heatproof glass basin (to cover the loaf in the oven – this promotes a steamy atmosphere which helps the loaf to rise). Sift the flour and soda together in a large mixing bowl. In a jug, mix the yogurt, milk, lemon juice and olive oil. Pour the liquid into the flour and mix as quickly as possible (add warm water if necessary – you need a dough which will stand up on its own, but which is not too crumbly). Turn the dough onto a floured surface and form into a round, making it as high as possible. Place on the floured baking tray, and cut a cross in the top with a sharp knife. Cover with the large heatproof glass basin and place in the oven for 30 minutes. It will be cooked when a skewer inserted into the loaf, comes out clean. If the loaf needs some further time to cook, remove the glass basin and return to the oven until cooked. Allow to cool before serving. It’s delicious warm with butter. Freezes well, and can be revived in the microwave. Served here with chicken liver paté. This recipe is adapted from one which appeared in the Guardian Cook supplement on 3 January 2015. It’s good warm, on its own with butter, or for mopping up soups and casseroles. Line the base of a 20cm cake tin with silicone paper and paint the sides with olive oil. Sift together the flour, polenta and baking powder. Stir in the breadcrumbs, onions, sage and cheese, until the mixture is evenly combined. Beat together the eggs, flour and oil in a separate bowl. Mix all the ingredients together, and spoon into the cake tin, levelling the top is necessary. Bake for 20-25 minutes until golden brown and cooked inside (if you insert a skewer and it comes out clean, it will be cooked). Allow to cool on a wire rack. Serve warm, or store in an airtight tin for later use. Freezes well. The UK’s mega-backers who produce all that tasteless spongy bread using the Chorleywood Method think that government imposed further salt cuts will pose problems for their manufacturing process. Maybe it will, you need salt for added flavour (especially) if you are using cheap ingredients, and it seems that salt also serves to strengthen gluten (British wheat has less gluten than wheat produced in North America). However salt also decreases the fermentation activity of yeast, so less of it might make their bread-making even faster! I have made very tasty bread containing nothing other than wholemeal/white flour (50/50), water, yeast, sugar and a bit of oil to ‘paint’ on the top of the loaf to improve the crust. It tastes even better if you knead in a few seeds (sunflower, pumpkin and linseed), before leaving it to prove prior baking. Homemade bread is much tastier a more satisfying that much of the bread you can buy in the shops. I’m not including ‘artisan bread’ in this ‘bad bread’ category, but then artisan bread if often quite expensive. You get what you pay for, but if you put in the same amount of effort yourself you can have inexpensive, tasty, satisfying bread. In my opinion you don’t need a breadmaking machine. Yes, making decent bread is a long process, but it actually ties up very little of your time. You just need to be available to do the kneading and baking and the timing can be flexible depending on the ambient temperature during the proving process and the quantity of yeast used. There’s also very little more therapeutic than kneading dough! I’ll be dealing with the bread-making process in a later post. Meanwhile here’s my daughter’s efforts with sourdough.